We at Heartwell lost a great coach and friend in Gregory Ganther, or as we all knew him as "Coach Greg". We honor the life and legacy of our son, brother, uncle, father, grandfather, friend and coach, Gregory Juyan Ganther, who was truly loved by so many. Most know him as "Butch", and later "Coach Greg" by his baseball players and "Old Man" by a few friends. Gregory Ganther was born in Los Angeles, CA on March 25, 1954, to the proud parents Rufus and Dorothy Ganther. He was the second born of four siblings. He accepted Christ at an early age while attending Triangular Church of Religious Science in Los Angeles. Later in life, he attended Lincoln Avenue Baptist Church where he was a member of the choir. 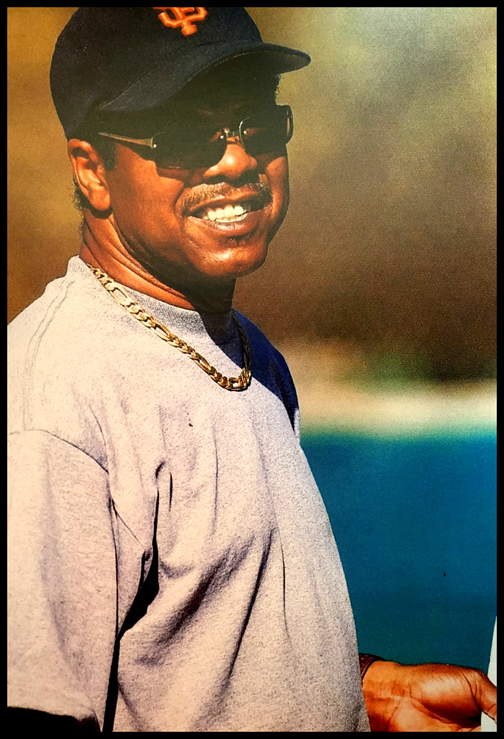 Greg attended school at Ralph Bunche Elementary School, Enterprise Jr. High School and Compton Sr. High School where he graduated in 1972. Greg grew up playing baseball at many parks throughout Compton. He became a great baseball player and later became a great coach. He mentored and tutored many kids while coaching. He coached little league baseball in Pasadena, Altadena and Cerritos. While coaching, he won several championships. It was said, that he could take the "Bad News Bears" and turn them into champions. He had such great love for kids and baseball. Greg was a coach in the evening, but an excellent Carpenter in the daytime. He remodeled and painted many kitchens, bathrooms, and bedrooms. Greg was such a perfectionist with every job that he worked on. He was the person that everyone called upon when something needed fixing. Whether it was a light switch, a plugged sink or a simple faucet repair, he was willing to help whenever he could. Greg was also a great singer. He wrote several songs and loved listening to jazz and oldies but goodies. Greg also loved playing dominoes and card games with his live-in love Nada Harrison. Greg departed this precious life on January 5, 2015 with Nada by his side. He leaves to cherish his memory by his Mother Dorothy Ganther, Sister Sylvia Pegues and husband Larry of Lynwood, CA, Sister Valerie Ganther-Hiett of Seattle, WA, and Sister Jacqueline Ganther of Compton, CA. He also leaves to cherish his memory three sons; Allen Ganther, Gregory Ganther, Jr. and Sean Ganther; one grandson, Elijah Allen Ganther; two nieces Nicole Hiett and Donisha Phillips-Adams, two nephews Corey Slocum and Justin Slocum and a host of cousins and friends. Greg was preceded in death by his father Rufus Ganther.